Project donor: INOGATE programe of EU Commission. Project duration: July, 2015 - April, 2016. Key stakeholders: Ministry of Energy of Georgia. Activity No.5 - Coordination & Reporting. For SEIC was developed and printed various information materials (brochures, posters and etc) devoted to sustainable energy (renewable energy and energy efficiency) issues. 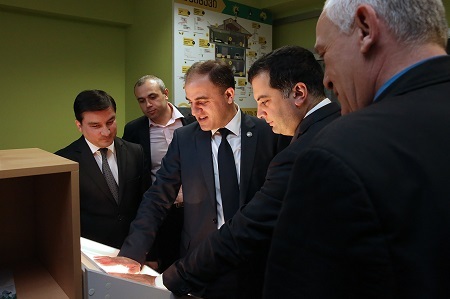 On 22 April, 2016 the sustainable energy information center was opened at the Tbilisi City Hall. 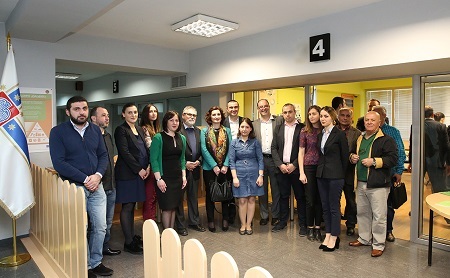 Mr. Davit Narmania, the mayor of Tbilisi city hall, Mr. Ilia Eloshvili, the deputy minister of energy of Georgia, Mr. Giorgi Alibegashvili Head of Tbilisi City Council and Mr. Wolfgang F. Lutz, the key expert of INOGATE technical secretariat attended an opening ceremony of a sustainable energy information center (SEIC). All visitors of the SEIC will have an opportunity to get information and appropriate consultations, as well as to introduce the exhibits/models and information materials related to the renewable energy and energy efficient technologies. 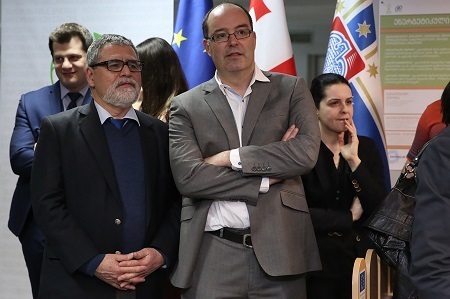 It should be noted that establishment of SEIC fully correspond to the commitments taken by City of Tbilisi under the EU commission’s initiative of Covenant of Mayors. The arrangement of SEIC with RE & EE exhibits, equipment and information materials has provided with support of INOGATE program of EU Commission. 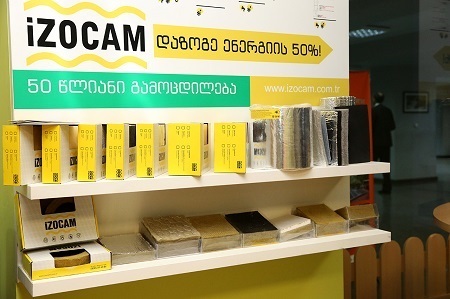 The establishment of SEIC was envisaged through the memorandum signed last year between Tbilisi City Hall, Ministry of Energy of Georgia and INOGATE technical secretariat of EU Commission. 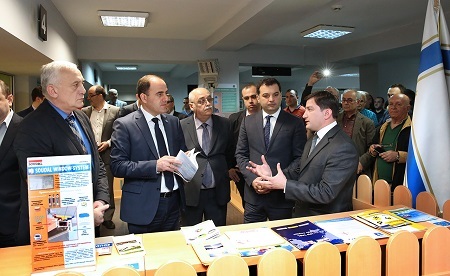 The memorandum was signed by Mr. Davit Narmania, the mayor of Tbilisi City Hall, Mr.Kakha Kaladze, the minister of Energy of Georgia and Mr. Adrian Tumm, the head of INOGATE technical secretariat.